The Hard Rubber New Music Society presents Horns at the Atrium, the first of a series of free concerts featuring music selected and commissioned for the reverberant interior courtyard at Woodward’s (Hastings and Abbott) on four Sundays, June to September. Each program will feature spacious sounds spanning several centuries focused on a particular instrument, held at 5 pm, preceded by an open rehearsal at 2-4 pm. 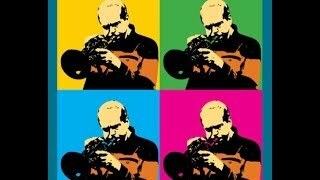 On Sunday, June 25, the program will feature new music for horns by Vancouver composer-musicians Hugh Fraser and Bill Runge. The Atrium, one of the most important indoor public spaces created in the city in the last decade, will reverberate with sounds performed by several of Vancouver’s top musicians and improvisers, including members of the amazing Hard Rubber Orchestra. 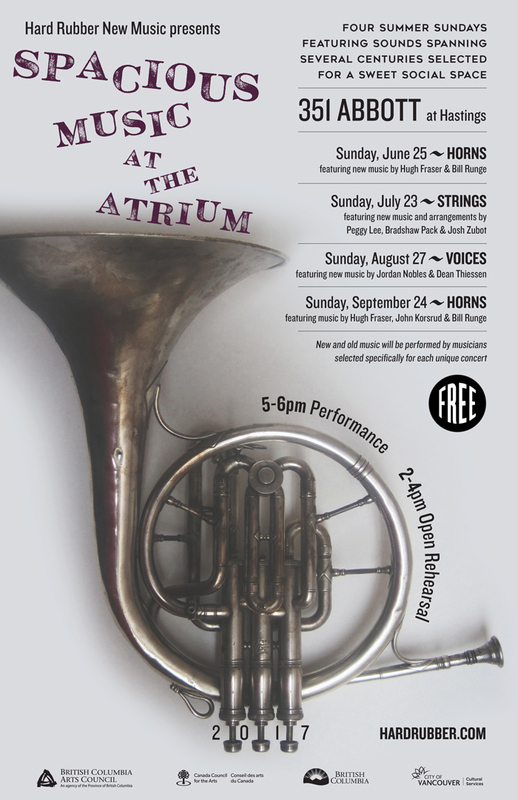 The Spacious Music at the Atrium series will continue throughout the summer with Strings on Sunday, July 23, Voices on Sunday, August 27; and Horns on Sunday, September 24. Each program will feature new and old music performed by musicians selected specifically for each concert.